Braun is an innovative maker of home and personal care products, based in Germany. One of its most popular line of products is the personal electric shaver, which continues to be a top-seller for the brand today. Which Braun electric shaver to choose? The company was founded in Frankfurt in 1921 by Max Braun. Originally, Max had no idea where his company would take him. He was a mechanical engineer, and set up a small engineering shop on Main street. He began by making components for radios. He incorporated plastic into his components, and by 1928, his business had grown. He relocated to a larger building. By 1929, Max began making complete radios for sale. In 1932, he was selling combined radios, and record players, in one unit. Braun continued manufacturing products, and in the 1950s they created the electric shaver, proving to be one of the most popular products they have ever made, and which continues to make the company money into the 21st century. Even though Braun has manufactured a variety of different products, they’re still known mainly for their electric shavers, particularly in the North American market. The first Braun electric shaver was met with great interest. The first one manufactured was the S 50. 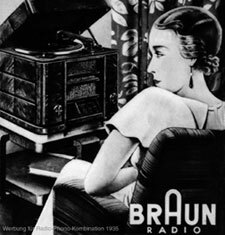 It had originally been designed in 1938, but Braun had been delayed by WWII. He had to abandon product designs for the civilian sector. In 1944, his factories were completely destroyed, and he had to rebuild from scratch. He soon had over 150 employees working in the factory. 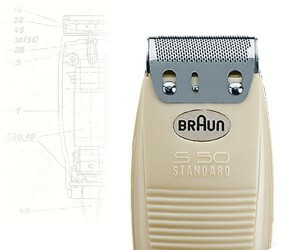 The first Braun electric shaver, the S 50, finally made its introduction in 1951. Braun’s first electric shaver featured an oscillating cutter block with a thin steel foil mounted above it. Braun still uses this concept in their electric shaver designs today. In 1967, Gillette, a company based in Boston, purchased a majority share of the company. Gillette is a company popular for its line of shaving blades and personal care products. By 1982 Gillette took full ownership of the rest of the company. In the 1970s, Braun started competing with other home consumer appliance manufacturers. Many other companies tried to duplicate the Braun appliances, but would manufacture them in lower labor cost countries. Braun instigated a law suit to recoup some of their losses. Eventually, Braun decided to focus on electric shavers and toothbrushes for its North American market, and keep its small appliances for the European market. Braun is now a wholly owned subsidiary of Proctor and Gamble, but will potentially be up for sale. In Europe, the Braun small appliance division is now owned by De Longhi. Today Braun’s headquarters are located in Kronberg, Germany. Braun is known for making high-quality electric shavers, built to last for a long time. This well-respected brand has several effective cordless shavers that are perfect for providing a clean smooth shave. The Braun Series 7 of electric shavers have won the “Best Products of 2014 Award” as mentioned in Details Magazine. 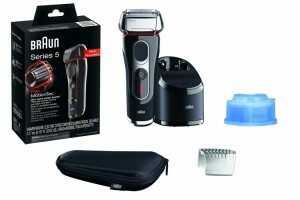 The Series 7 is the latest and most advanced premium shaver line from Braun. These shavers are built with innovative sonic technology, with 10,000 micro vibrations per minute. This helps to capture more hair, making shaving much faster. These shavers are still assembled in Germany, as people are expecting more for a premium line of shavers. German engineering promises to combine technology and design together into one effective cordless shaver. Braun was the inventor of the electric shaver cleaning unit. One of the most notable features of the Series 7 is the additional cleaning and charging unit. This four step process is simple. Simply place your shaver in the unit, and with the press of a button, it’ll handle four tasks for you. It’ll clean your shaver, without you having to pick at it with a brush. It’ll lubricate the mechanics to keep it in perfect running condition, then dry it. After it’s dry, it will charge itself up. It takes only one hour to fully charge up. This will give you about fifty minutes of shaving time. The cleaning unit works at its best with insertable cleaning cartridges. Cartridges should be replaced every three months. The cartridges contain a cleaning solution that is alcohol-based. This will disinfect your shaver, and make it smell clean and lemon fresh. There is also a fast clean function, perfect for when you forget to clean it the week before, or when it really needs a cleaning. The Series 7 shavers are all 100% waterproof, and can be used wet or dry. They can be safely taken into the shower, and used with shaving gels, foams, creams, etc. Series 5 is waterproof for up to five meters, meaning it is fully immersible. If you drop it in the tub, you can simply fish it out and wipe it off. Choices in the Series 7 line include the 790cc-4 in noble metal and black, the 760cc-4 in black, and the 720s-4 in black. The Series 7 differs from Series 3 or Series 5. It’s the only one to have three personalization modes, so you can choose the best one for a more personal shave. Choose from extra sensitive, normal, or intensive modes. ActiveLift blades capture any hairs that are laying flat. The blades can capture these troublesome hairs, lift them up gently, and trim off. It allows for a smoother and effective shave. Some of the most difficult hair to trim can be in the hard to reach neck region. This is often where hairs lie flat. The ActiveLift technology solves the problem, so men can have a smooth clean shave, even on their necks. The Braun Series 7 shavers are all designed with a foil style type of shaving head. OptiFoil will give you the closet shave ever. The shaving head is flexible, and can adapt to all types of faces. The head can pivot and float easily. All Series 7 shavers come with a precision trimmer, to get around the nooks and crannies of sideburns, mustache, and beard. The Braun Series 5 of cordless electric shavers promise maximum performance, and excellent skin comfort, even in problem areas. FlexMotionTec allows the shaver to connect more effectively with the skin, decreasing shaving time. It also uses less skin pressure, so that there is minimal skin irritation and redness after shaving. 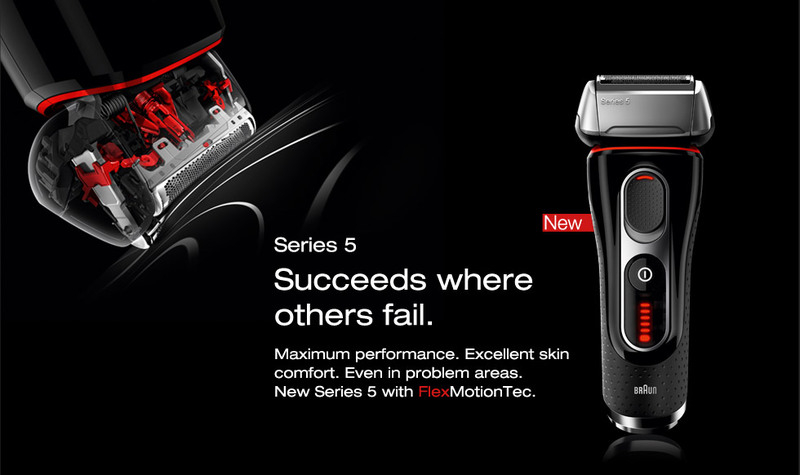 MicroMotion and MacroMotion both give the Series 5 shavers the best tools to shave the skin smooth. The MicroMotion has individual suspension of all cutting elements. These will respond to the slightest contours of the face. The MacroMotion system moves the cutting head more closely to the skin for a closer shave. The MacroMotion is built into the forty degree pivoting shaver head. It moves with the larger contours of the face, ensuring maximum skin surface contact. Series 5 is built with the PowerDrive, and it works by supplying 20% more motor power than other Braun shavers. High speed cutting will effectively remove even the most stubbornly thick hairs. Series 5 has patented UltraActiveLift. These blades will capture problem areas that rest against the neck and chin regions. This internal trimmer actually oscillates and will lift and cut these stubborn flat-lying hairs away with only a few strokes. Another unique feature of Series 5 is the internal cross hair blade. These blades work effectively to remove hairs that are lying in a variety of different directions on your skin. These even work effectively on stubble. There is a five level battery indicator. You can turn on a travel lock so the shaver won’t turn on during transit. A hygiene indicator will remind you when it should be cleaned. Like the Series 7, Series 5 shavers are also made in Germany, so you can be assured of the quality. Braun aspires to have the highest quality standards in both design and build. Series 5 also comes with the four step cleaning, lubricating, drying, and charging unit. This is an intelligent clean and renew system. At the end of the week place your shaver on the unit, and press a button. The process will begin. It will clean your shaver, lubricate the mechanics so everything keeps working smoothly, then dry it completely. It uses the cleaning fluid economically, and one cartridge is all that’s needed for about three months. The cartridge contains an alcohol and lemon-based cleaning solution. It will hygienically sterilize the electric shaver, removing almost 99.99% of germs. While you can rinse the shaver directly under tap water, studies have shown that the shaver stays in optimum working order with the full usage of the cleaning and charging unit. The final step will charge your shaver fully up, so it’s ready to be used the next morning. Your shaver will feel like new each day that you use it. Three offerings in the Series 5 line include the 5090cc in black/silver/red, the 5040s in black/blue, and the 5030s in black/red. The Braun Series 3 electric shavers are perfect for when you have three day old beard growth. This line of shavers will efficiently tackle this thick growth. The Series 3 is built with a Triple Action FreeFloat system. It has a faster motor and the head is built with SensoFoil. Some of the Series 3 can be used wet or dry, and some of the models come with a cleaning and charging unit. The line includes the 340s-4 in blue/black, the 350cc-4 black/blue, the 380s-4 in blue/black, and the 390cc-4 in noble metal. The 380s-4 and the 340s-4 can both be used wet or dry. They can be used in the sink or the shower without having to worry about the inner mechanics becoming wet. They are fully sealed, and there will be no issues if you accidentally drop it into the water. For wet shaving you can use plain water, or add shaving foam, gel, cream, or lotion to help you get the smoothest shave possible. There are many advantages to buying the Braun Series 3. The SensoFoil built into the head will allow for a closer shave than older model Braun 3 series shavers. Inside the foil is a triple action cutting system. The Triple Action FreeFloat system will grasp longer hairs without skin discomfort, and adapt to any size or shape of face. There are twin foils and an integrated middle trimmer. Together, this system will also grasp long or short hairs, or even a mix on the face. The foils cut hair more closely to the surface of the skin, without tugging or pulling. The 390cc-4 and the 350cc-4 both come with separate Clean and Renew systems. They make cleaning and charging a simple task. You won’t have to worry about waiting for your shaver to dry before plugging it in. The use of the Clean and Renew unit is simple. Simply place the shaver head first into the cleaning unit, and press a button. The cleaning system will begin the clean cycle, getting all the small bits of hair out of the unit. Next, it will lubricate the shaving head, so it flows smoothly. It will then air dry, so you have a dry shaver when it is removed from the unit. Finally, your Braun Series 3 shaver will be fully charged up, and ready to go for the next round of shaving. 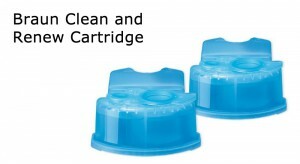 The Clean and Renew system takes insertable cartridges that are filled with an alcohol-based cleanser. They have a fresh lemon scent. These cartridges only have to be replaced about 3 or 4 times a year. The use of the Clean and Renew system promises to extend the life of the cordless Braun Series 3 electric shavers. The Braun Series 3 also come with a precision long hair trimmer for precise trimming of beards, mustaches, and side burns. There is an LED display to indicate low level battery level as well.